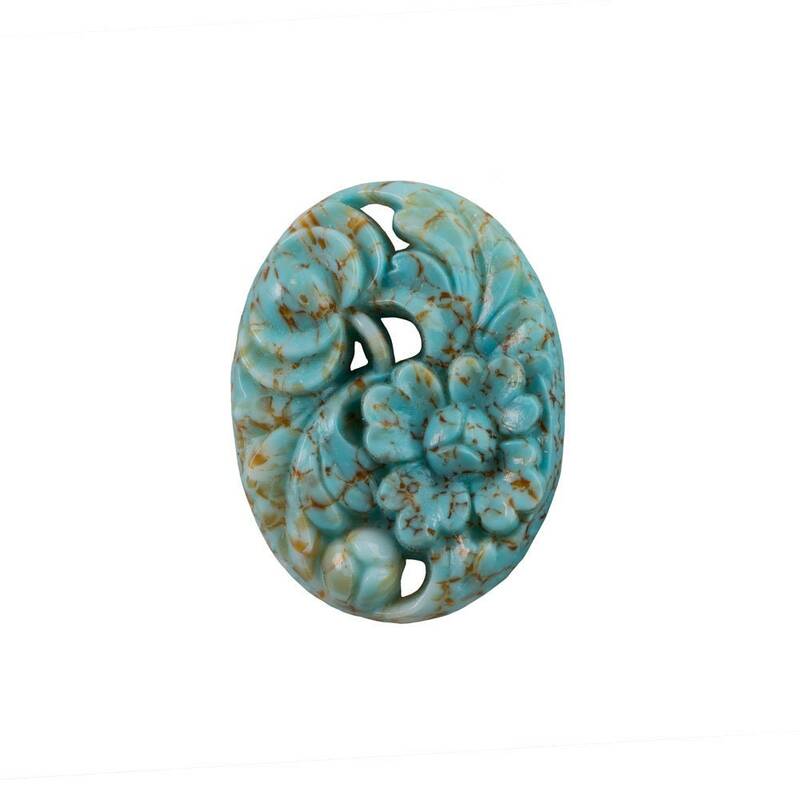 Characteristics: These cabs have a raised, carved flower design with a flat back. They are pierced in places. Quantity: 2 piece per pkg. Additional Information: Please note that no two Matrix Cabs are identical. Beautiful vintage pieces. Recommended sellers. HAPPY CUSTOMER all of the TIME!!!!! Beautiful products and Excellent customer service! Thank you so much!